The Behnam Daheshpour Charity Organization (BDCO) was officially established in 2000 to help patients with cancer and rare diseases receive medical treatment which they would otherwise be unable to access due to both high costs of treatment and unavailability of quality care services. However, its cause began years before due to the efforts of a young man who became an inspiration to us all. 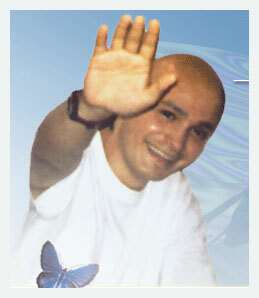 Behnam was a young man who was diagnosed with liver cancer at the age of 17 in 1992. Being from a wealthy family, he had the opportunity to receive treatment during his 3-years battle with cancer in various countries and ultimately chose to come back to Iran for the rest of his treatment and duration of illness. During his last course of treatment at the Shohadaye Tajrish Hospital in Tehran – which in 1995 had one of a few radiotherapy facilities available to patients in Iran, Behnam was strongly moved by the terrible conditions that cancer patients faced in the Oncology Department, specifically that the radiotherapy center was located in an incomplete and unfinished building. Despite the progression of his illness at the time, Behnam became determined to help complete the semi-finished building and set to accomplish his goal with a strong spirit and perseverance. With the help and support of his family and friends, he organized three fundraising initiatives – a Bazaar, a piano concert, and the sale of decorative candles; which ultimately led to a genuine movement. As he sold decorative candles to fundraise for cancer patients, his own life’s candle died out and he lost the battle with cancer after three long years, at the age of 21. Yet the light he left burning in the hearts of family and friends continues to burn to this day. The Oncology Department of the Shohadaye Tajrish Hospital began its work in 1991 with the intention of reforming patient treatment. Due to Behnam’s vision and collaboration among his family, friends and countless benefactors, the grand opening of the patient waiting area and children’s playing room in the Oncology Department finally took place in 1996, when Behnam was no longer among us to see his efforts come to fruition. Today, together with the cooperation and support of numerous volunteers and benefactors, the Behnam Daheshpour Charity Organization is proud to be THE assistance center for patients with cancer and rare diseases in Iran; offering health, support and cultural services to patients and their families regardless of type of cancer, stage of illness, age, gender, nationality and religion. For more information about BDCO or to donate directly to this organization, please visit their website.